GUL FPORT – Gulfport-Biloxi International Airport was recognized March 31 by the American Association of Airport Executives (AAAE) for excellence in airport training completed in 2016. 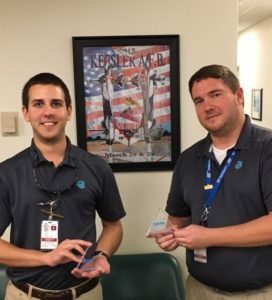 Airport Operations Supervisors Addison Barbeau and Carson Stroud and Operations Manager Ricky Rushing received awards for completing extensiveoperations training in areas including aircraft rescue and firefighting, security, customer service, Federal Aviation Administration-required recurrent training and more. 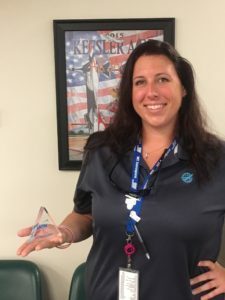 Airport employees complete a specified amount of federally-mandated training through an Airport News and Training Network Digicast web-based training program. Airports are awarded based on total training programs completed and total number of employees trained at each airport.